If you’ve spent any amount of time looking up flights, and trying to redeem your airline miles you know that it is important to have an understanding of the routes that different airlines fly. There are a few tools I use, and one of them is www.airlineroutemaps.com. I hadn’t used it much recently but was pleasantly surprised with the new layout and design. I like this tool the most for Milenomics #101ers because it is purely point and click. which can show you the three major airline alliances. Alliances are important for earning miles and points. When paying for a ticket on an alliance member you can often credit your miles to another member airline, keeping your miles in one program, instead of ending up with lots of small mileage amounts spread across mileage programs. For award tickets, you can book award seats on alliance members at the low level with other alliance member’s miles. Getting familiar with these alliances will allow you to step up to Milenomics #201 for international first class/business class travel. More advanced Airline award ticket routing techniques can be read about here. 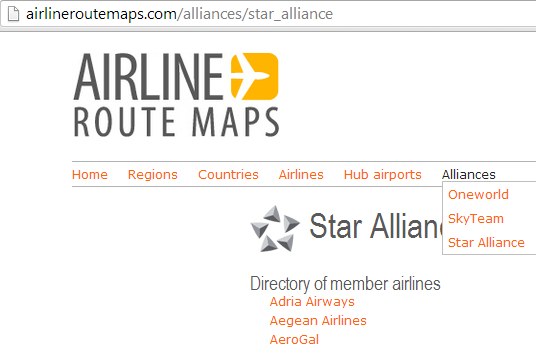 Your link to airlineroutemaps.com is broken.